Photography is usually seen as being static, a frozen moment in time, that will consequently last eternity through that photograph. I want to explore the opposite and discover how photographs can also portray the ageing process of time. When coming up with ideas for this project I struggled to come up with an concept that I wanted to explore within my photos. 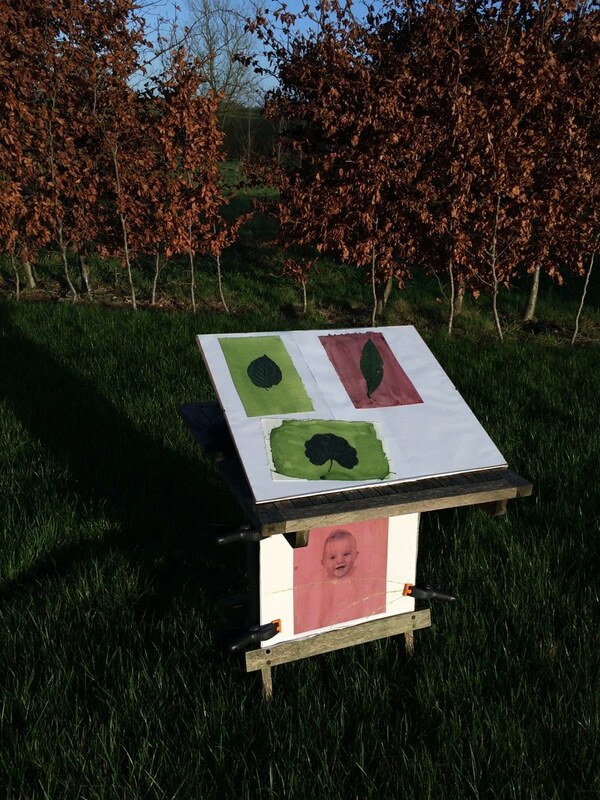 I originally wanted to explore different ways of displaying photographs, experimenting with different mediums such as paint, wax and layering. I had a look at the work of artists such as Gerhard Richter, who paints directly onto his images, dividing up the composition and creating an abstract look. I also became very interested in the work of Matthew Brandt. 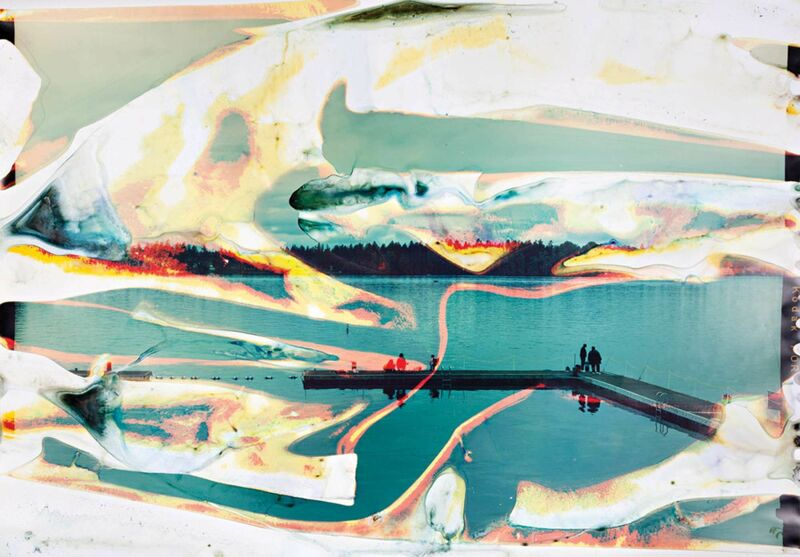 He is a contemporary photographer who captures photos of lakes, reservoirs and rivers, prints them on to chromogenic paper, and then soaks the image in the water from the environment in which the photograph was taken. It was Brandt's works that drew me towards printing processes. I was still unsure at the time what the concept of my idea was but I knew it wanted to involve experimenting with printing. As I still had not decided on a theme to explore I decided to research the various printing processes in hope that an idea for my project would emerge. ‘Experimental Photography: A handbook of techniques’ (Thames & Hudson) offered a wide range of techniques and processes for developing photos. 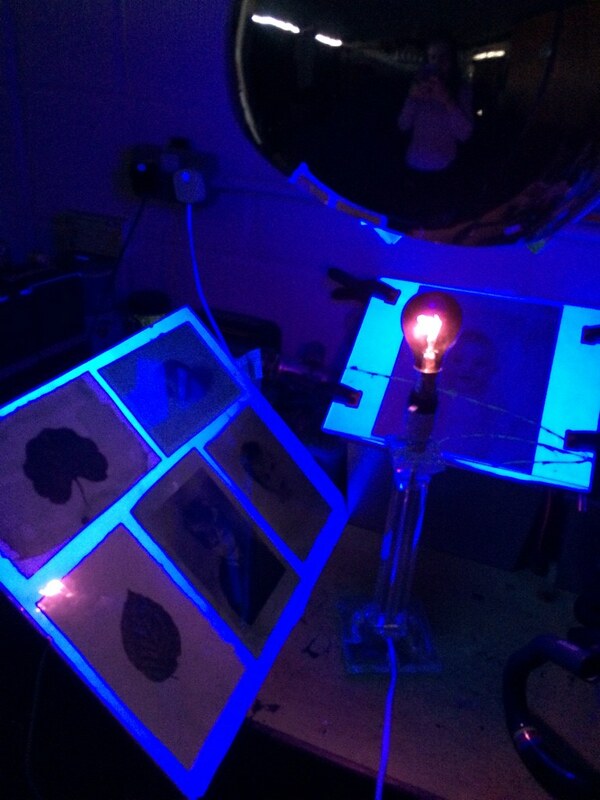 I loved looking at the numerous printing processes available, especially Vandyke and Cyanotype prints. However the one I was most intrigued with was the Anthotype printing process. 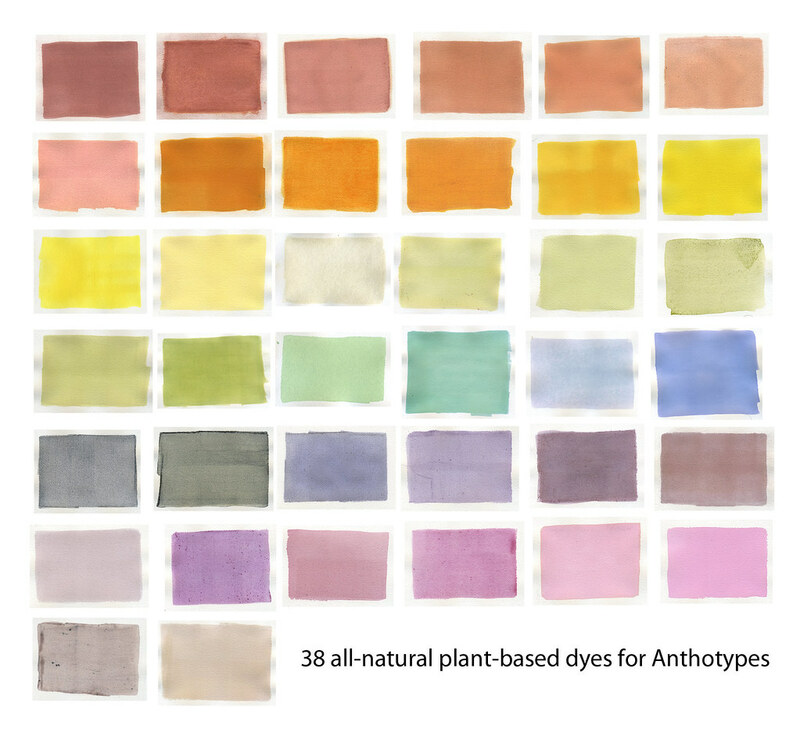 This technique uses the naturally photosensitive properties of petals, leaves and fruits or roots to create prints. I thought it was remarkable how you could use things found in your garden to create a contact print and the semi-permeate state of the prints produced. After doing some more research I decided to explore the element of time within contemporary photography. The concept of photography revolves around this idea that photographs freeze that moment in time however with Anthotype prints the photograph is always fading – there is no fixed moment. I want to explore the concept of the representation of time within contemporary photographs. Chirstine Elfman is an artist and photographer who ‘take time to make things that time takes away.’ I love the concept behind her projects especially ‘Fix and Fade’. Elfman ‘explores the perils of nostalgia through a series of photographs occupying various states of material stability.’ She uses the unfixable state of anthotype printing to suggest how all-photographic subjects remain just out of reach to the viewer. The combination of the faded Anthotype print and the clear Silver Gelatin image encourages the viewer to construct a narrative between the two photographs. I really like the way that Elfman had placed/used 2 images of different material states to generate a narrative something that I want to try and emulate in my photographs. I came across this photographers work during some research. 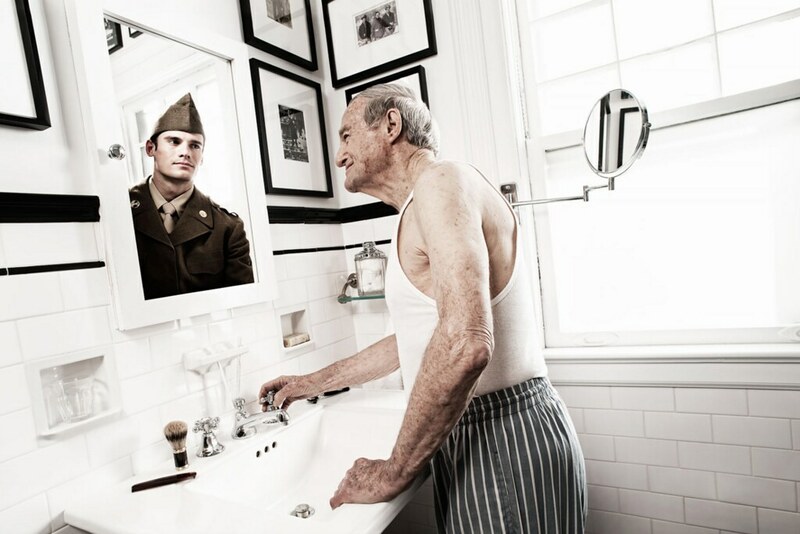 The project by Tom Hussey is called ‘Reflections’. It is an interesting representation of time within photography and I liked the cinematic look to his images. 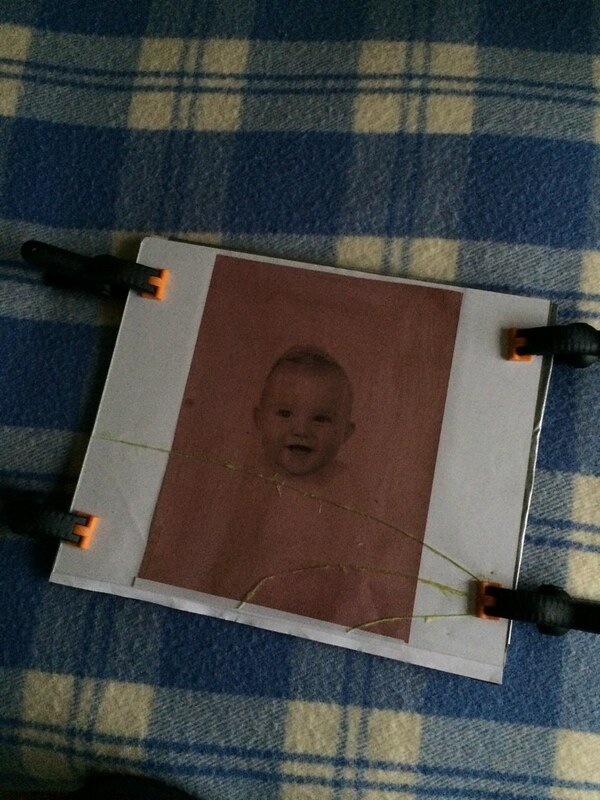 Before I could start to make my anthotype prints I needed a contact printing frame. Instead of buying one online I decided to make one myself using an old photo frame as the basic structure. In order to check the prints without losing the registration between the negative and printing paper I had to cut a section of the backboard off and then attach a pair of hinges to the two halves, creating a door in order to check the prints. 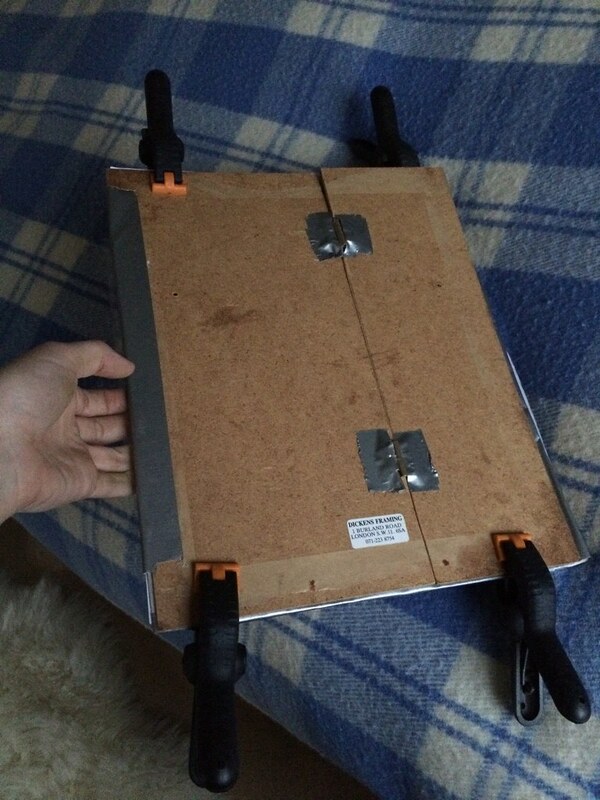 Using spring clamps to sandwich the print and negative together by contact printing frame is ready to use. When creating my printing paper I did a lot of research on the different ingredients I could use, wanting to use the most photo sensitive ingredients in order to generate a larger contrast. I discovered that spinach and frozen blueberries produced deep colours that bleached quickly when exposed to UV rays. 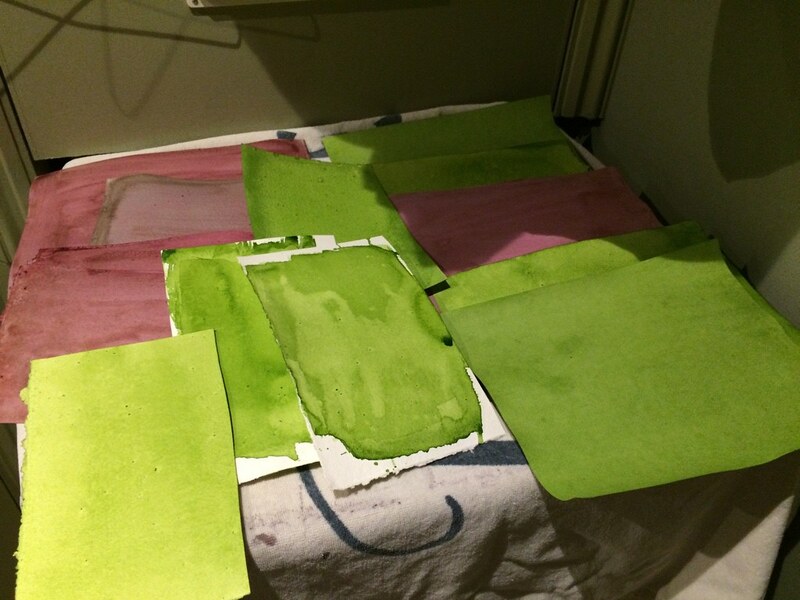 They also provided me with two different colours - green and red-purple - which would give me a nice variety in my prints. I went about grinding up the ingredients in a blender, using cheap vodka to dilute the mixture and to aid with the blending. 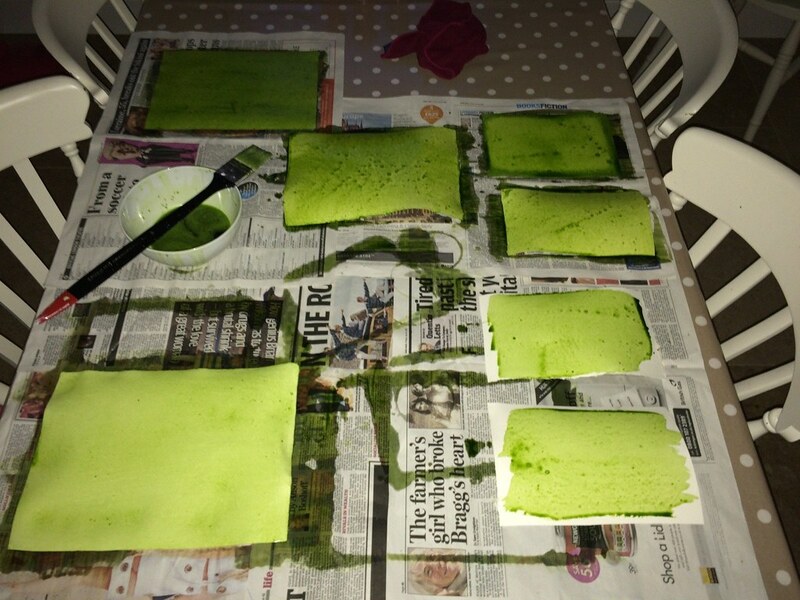 Using an old pair of tights I strained the pulps of spinach and blueberry’s into a bowl, then applied various coats of my ingredients to the watercolour sheets; I did this in a dark room so as to not expose the emulsion. After the printing paper had dried and I had created my positive transparencies, I loaded them into my contact-printing frame and exposed them to sunlight. 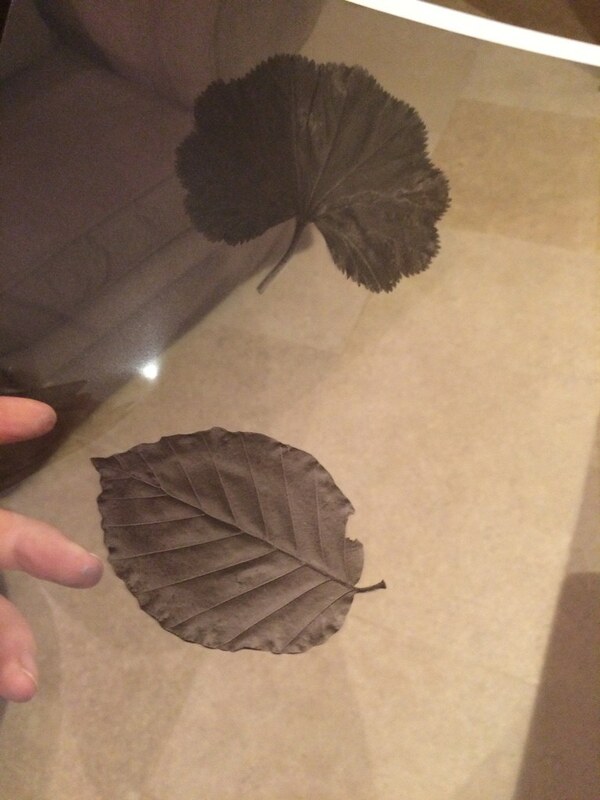 A big issue that I experienced with these prints was with exposure. I did not take into consideration that the sun during the winter months would have weaker UV Rays. I figured this out when my prints were not developing at the speed they should. It was a very slow progress and I started to panic thinking they would not be ready in time. It also did not help that there was no sun as most days were clouded over or it rained. In order to solve this problem I ordered a few UV bulbs to try and replicate the affects of the sun, which did work but very slowly. I am looking to try and create anthotype prints again during the hotter months as I believe that the prints will be a greater success. I have learnt a lot about anthotype printing from doing this project, like what ingredients work better than others. 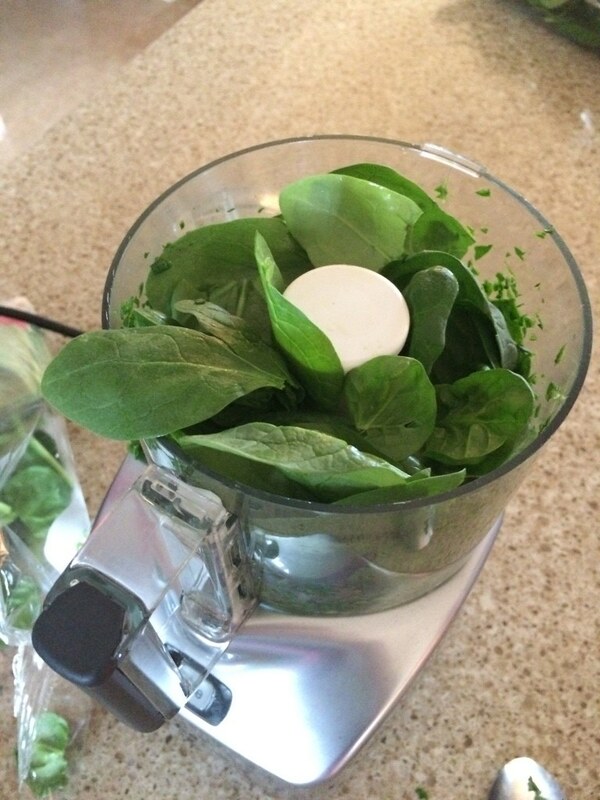 From my experiments I realised that spinach is one of the best emulsions to use as it is light sensitive and produces a yellow-green colour. 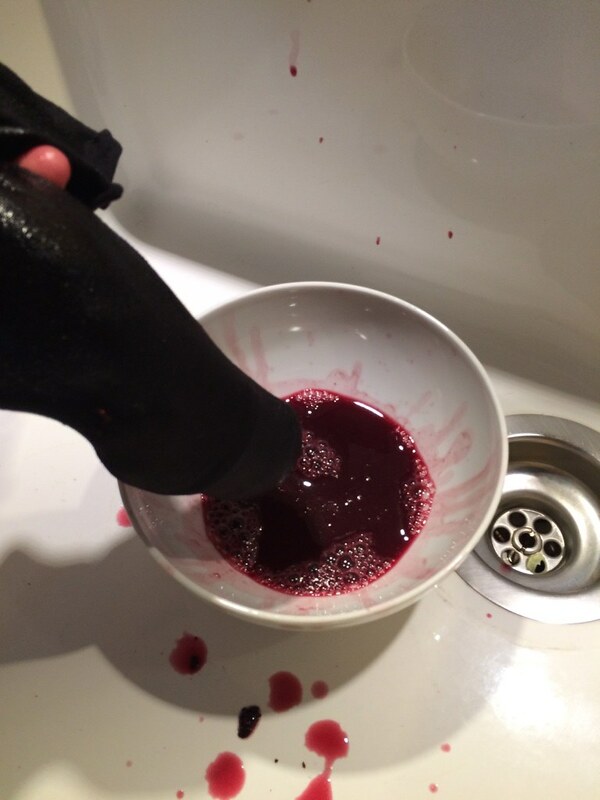 I am yet to try beetroot but I look forward to seeing the results of that emulsion as it is commonly used in examples in books and online. Once my prints had developed I wanted to experiment around with them. The image below is my attempt at imitating a 'Fix & Fade' image produced by Christine Elfman. 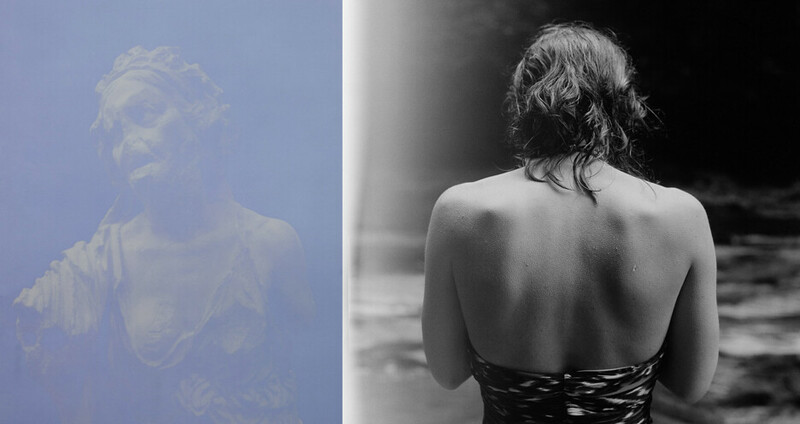 I wanted to work out the most effective way to create a narrative between the two images. 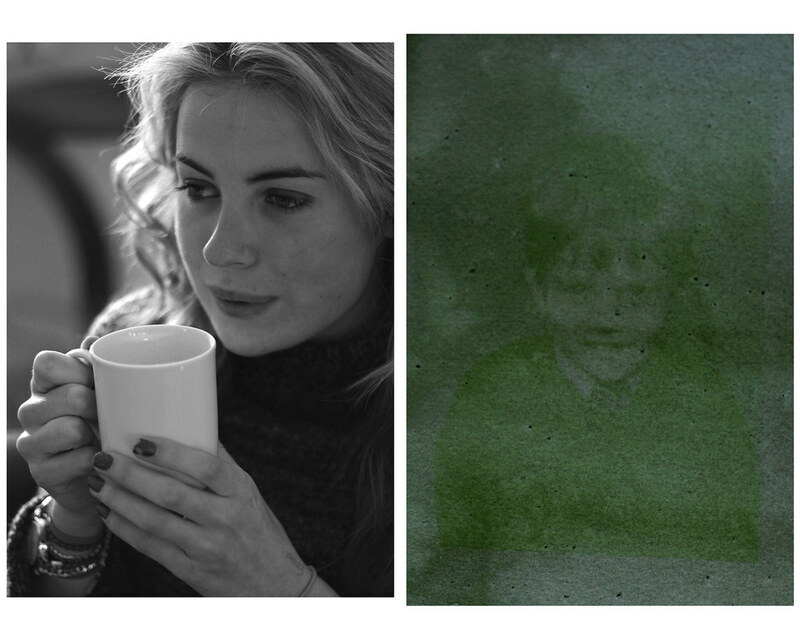 With these two images I wanted to give off a sense of ageing (very literally done with picture of child and adult) but also to explore the 'lost moment'. My original idea was to create an series of anthotype prints and expose the 5 prints to different lengths of time so I could monitor the decaying and fading images. However after encountering some problems with the developing stage of the prints I decided to interpret the ageing process in a different form. I decided to use both black and white digital images and anthotype prints as I feel that a combination of the two will be a strong representation of time, and how elements decay over time. 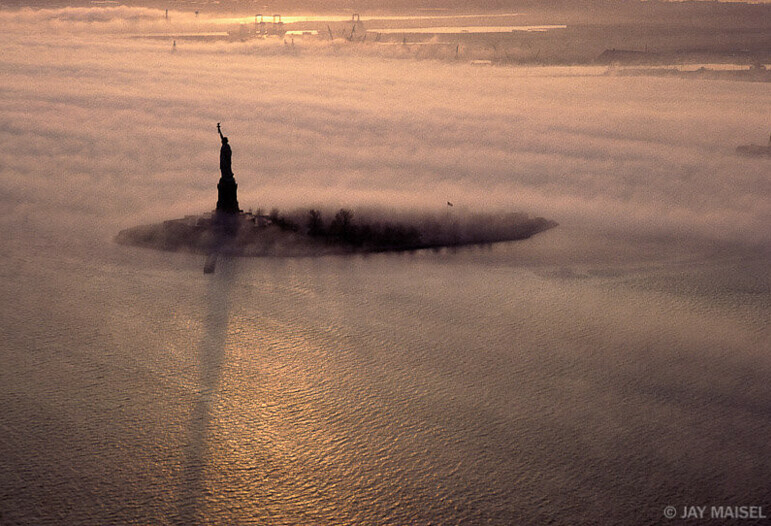 I really like the composition of Jay Maisel's work. A lot of his images are of isolated objects or they often contain lots of movement, however whatever the subject matter is your focus is always drawn to part of the photograph. I want to take a lot of consideration into the composition of my photographs. The way my photographs are displayed is very important. I believe that you have to view them as a group in order to fully understand the concept behind them. 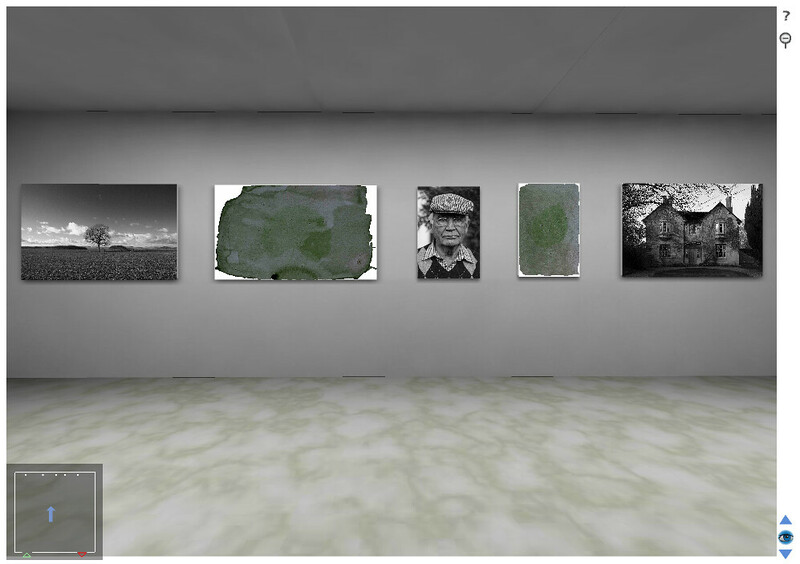 The image below is how I would like them exhibited (apart from the while backgrounds to the anthotype prints, unable to change that on the online generator). Displaying them in this format also means that the various cycles of growth and decay can be linked.